Our Financial Empowerment Team is here to help you with free services. Our team can help you develop an understanding of your own financial knowledge, skills and confidence. Goodwill offers free services that empower participants to take a more active role in development of their financial future through workshops, one-on-one coaching and referrals to our community partners. Our trained financial coaches can help you create and manage a spending plan/budget, reduce debt, build credit and learn saving strategies. Our supportive approach to financial coaching will improve your knowledge about money management, as well as your confidence to help you take control of your financial future. 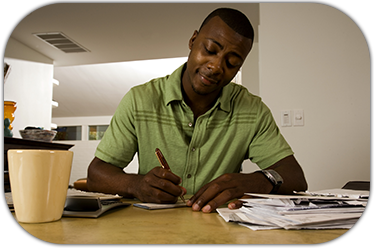 Contact our Financial Empowerment line at (414) 847-4845 for more information.